You are here: Home / Gift Ideas / Protect your hanging baskets from garden theft! You may have heard or read stories recently about more and more households experiencing missing plant pots and hanging baskets. Jersey Plants Direct have a brand new concept to the gardening world to help you protect your stunning hanging baskets from garden thieves. 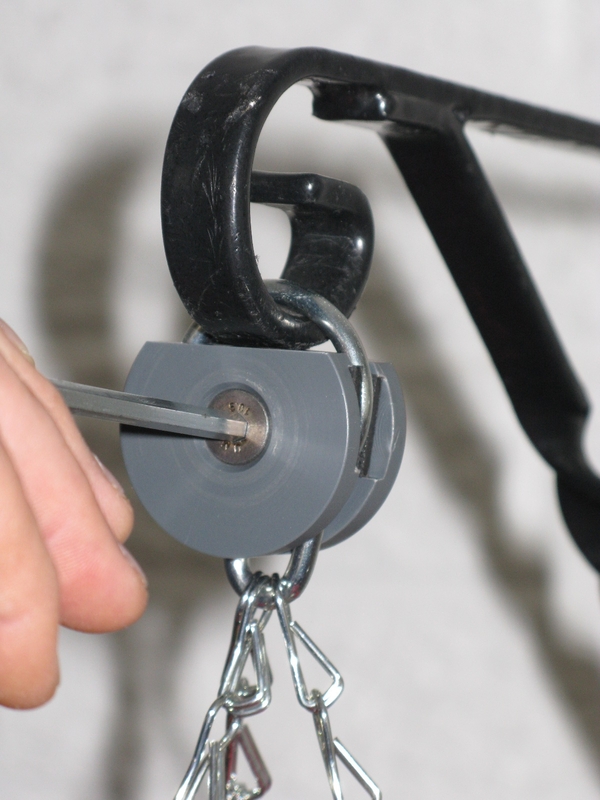 This anti-theft device fits on the hook or ring of your hanging baskets to stop you loosing them to thieves or high winds. The Basket Geni will attach to existing or new baskets. It is fully weather-resistant and toughened to last years – it can’t be removed without an Allen key! Basket Geni is easy to use, fitted with a brass insert and hex screw, it comes with an Allen key and full instructions. A set of two Basket Geni is only £7.99!